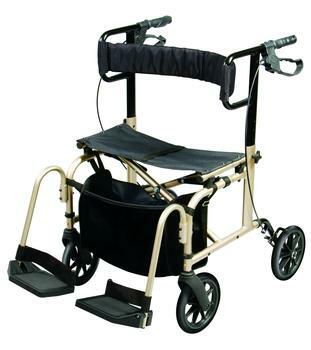 CANES/WALKERS/ROLLATORS at OLD WORLD DME, INC. STORE HOT ITEMS! APEX/CAREX HEALTHCARE Ultra Ride Rollator Walker and Transport Chair: This all-in-one rollator and transport chair brings independence to everyday living by allowing users to walk, sit and ride. Weighs only 17.5 lbs. Transitions simply and quickly from a rollator to a transport chair. Folds easily for transport and storage. Extra wide 19” seating area. Deep storage bag to hold personal items and foot rests. Foot rests fold up and are removable. Height adjustable. Upscale champagne color. Locking hand brakes. Safety belt included. Easy tool free assembly. Flex packaging with convenient carry handle. Supports up to 250 lbs. NVACARE SUPPLY GROUP SILVER Soft cushioned seat aluminum rollator has round shaped backrest and features MY Brake. Lightweight frame folds with ease. 4 piece detachable 7.5" casters. Seat width 17", seat height 21.5", height adjustment 32.7" to 37". Product weighs 16lbs. Includes soft black bag. Weight limit 225 lbs. 1-year warranty on frame defects. 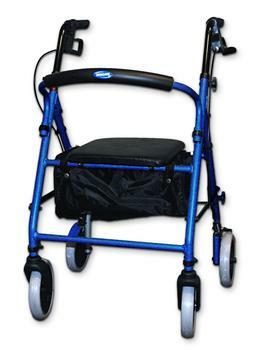 INVACARE SUPPLY GROUP BLUE Soft Seat Aluminum Rollator with Round Back: Soft cushioned seat aluminum rollator has round shaped backrest and features MY Brake. Lightweight frame folds with ease. 4 piece detachable 7.5" casters. Seat width 17", seat height 21.5", height adjustment 32.7" to 37". Product weighs 16lbs. Includes soft black bag. Weight limit 225 lbs. 1-year warranty on frame defects. INVACARE SUPPLY GROUP BLACK Soft Seat Aluminum Rollator with Round Back: Soft cushioned seat aluminum rollator has round shaped backrest and features MY Brake. Lightweight frame folds with ease. 4 piece detachable 7.5" casters. Seat width 17", seat height 21.5", height adjustment 32.7" to 37". Product weighs 16lbs. Includes soft black bag. Weight limit 225 lbs. 1-year warranty on frame defects. INVACARE CORPORATION Blue-Release™ Adult Walker: Lightweight and easy to maneuver; designed to offer users the stability they require. Wide, deep frame allows more room inside the walker. Dual release mechanisms provide both visual and audible “locked” cues, so you can see and hear when the Blue-Release™ is safely locked in the open position. Folds to just 4" for transport and storage. Weight capacity: 300lbs. Lifetime warranty. 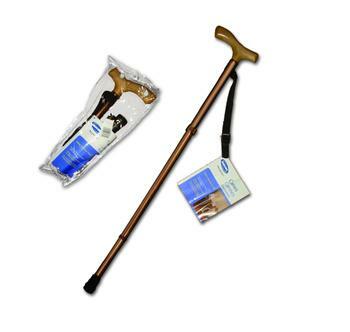 INVACARE SUPPLY GROUP Travel Cane Bronze Travel Cane: Collapsable / Folding, with Wrist Strap. Bronze. 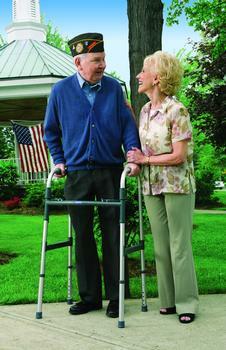 INVACARE SUPPLY GROUP QUAD CANE: Handle assemblies may be rotated for left- or right-hand use. Stable chrome-plated steel base; offset handle with orthopedic handgrip provides better fit and added comfort. Height adjusts in 1" increments from 31" -36"H. Fits users 4'6" - 6'2". Weight capacity: 250 lbs.